The coach also said that young Marcus Harris will make his debut and will open the innings along with Aaron Finch. 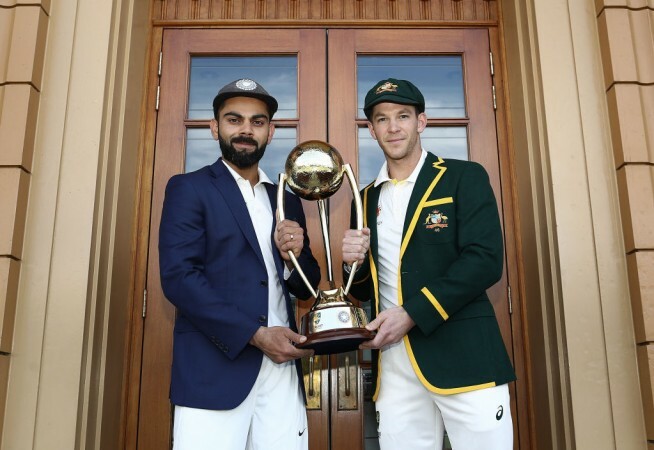 After all the talk, sledges, intent, and plenty of planning, the Test series between India and Australia is set to begin. The hosts are in turmoil, at least as far as their batting is concerned and coach Justin Langer has no qualms in accepting the fact that the Indian team seems to be out for blood. "You sense they're smelling blood. Just like the great Australian cricket team of 2001 felt and we just fell short (of winning in India) and we were able to (win in) 2004," Langer told Australian radio channel SEN's Whateley. "You sense these moments. I'm sensing India feel that." Virat Kohli's team have had their moments in the recent away series in England and South Africa, and although the results have not gone in their favour, Langer says his side will show a lot of respect for their opponents. "They're a good team and they've got a couple of great players and we will show them great respect," he said. However, he does believe that the side will be under pressure to deliver as India's past record in Australia is not entirely great. Australian cricket has been through a lot in the last nine months after the ball-tampering scandal hit and it will be their first home season after bans were imposed on Steve Smith, David Warner, and Cameron Bancroft. "We've been through so much in the last nine months. We've been rolling our sleeves up, we've got plenty to prove as well," Langer said. The coach also said that young Marcus Harris will make his debut and he will open the innings along with Aaron Finch. "He's scored 500 runs in Shield cricket in eight innings, that's a great way to go into a Test match. He's a terrific young player and he's looked very good in some of the most competitive net sessions I've seen for a long time in Australian cricket. He's looked very composed," the coach said.